Join us for an incredible time of connecting and fun. Join us on Sun 21st April at 10am to celebrate with each person their decision to be baptised. Our Youth will be washing cars during the service to raise money to contribute to upgrading equipment. Ps Murray Averill is with us this Sunday! Join us for an incredible morning from 10am. We also have our Youth selling Hotdogs after the service to raise money to upgrade some equipment. 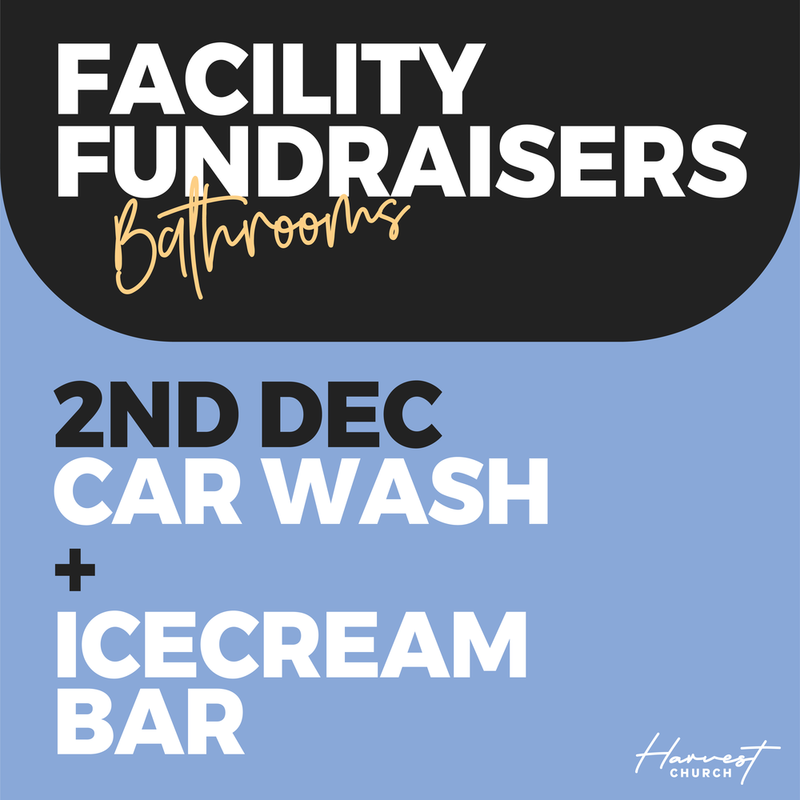 Join us as we demolish our Bathrooms to start renovating them. SUMMER NIGHT OUT is coming soon! Ps Layla Nahavandi from Lifepoint Church //Culture Band // Competitions // Cafe Open. Bring your friends and have an incredible night!! See you there! Meet the Dream Team of Harvest Church and explore the opportunities available to live out your purpose. Develop your leadership by strengthening your character and gifting to fulfilling your leadership potential. Feast night at Harvest Church for Young Adults! Burritos + Communion + Crews! Gonna be epic. See you there! Discover more about your personality and gifts. Explore how your design reveals your best fit in ministry and your purpose in life. 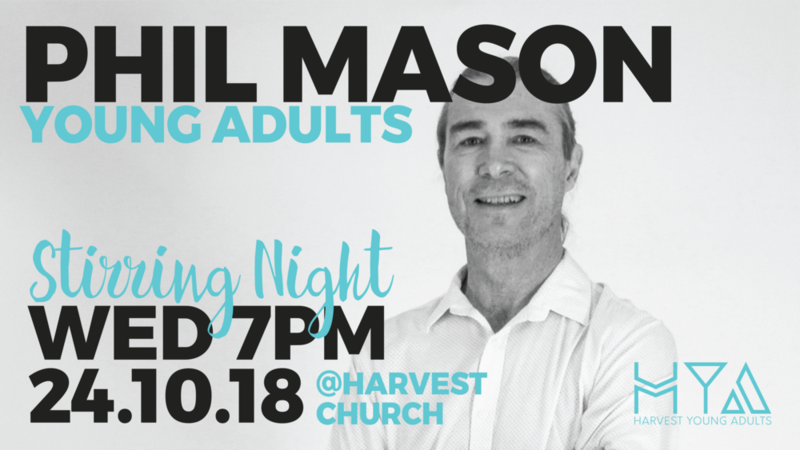 Harvest Young Adults invites Young Adults from all around to join them for a night of seeking God in worship and Phil Mason sharing. It will be an incredible night of exploring God's heart! ACTION-PACKED CULTURE is coming soon! 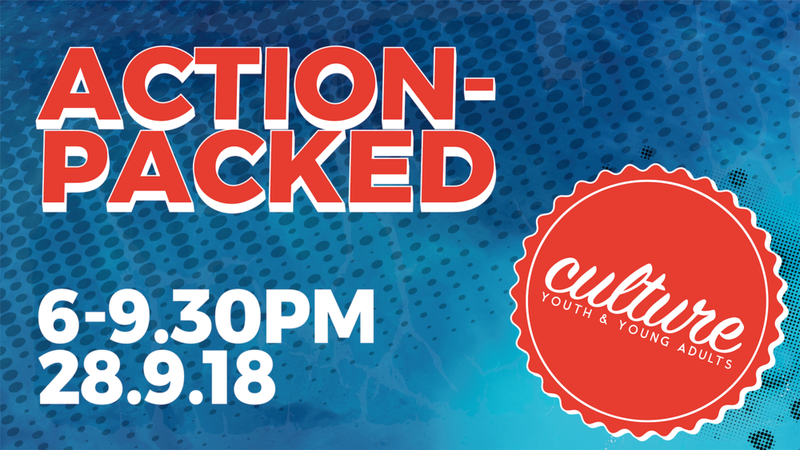 Ninja Warrior Course //Culture Band // Marty Manuel Speaking // Prizes // Cafe Open. Bring your friends and have an incredible night!! See you there! Join us for a night of worship, prayer and sharing with Katherine Ruonala sharing. It will be a powerful night. Join us on Sun 23rd Sept at 10am to celebrate with each person their decision to be baptised. We are kicking off the night at 5pm for FOOD CARTS, COFFEE + COMMUNITY! 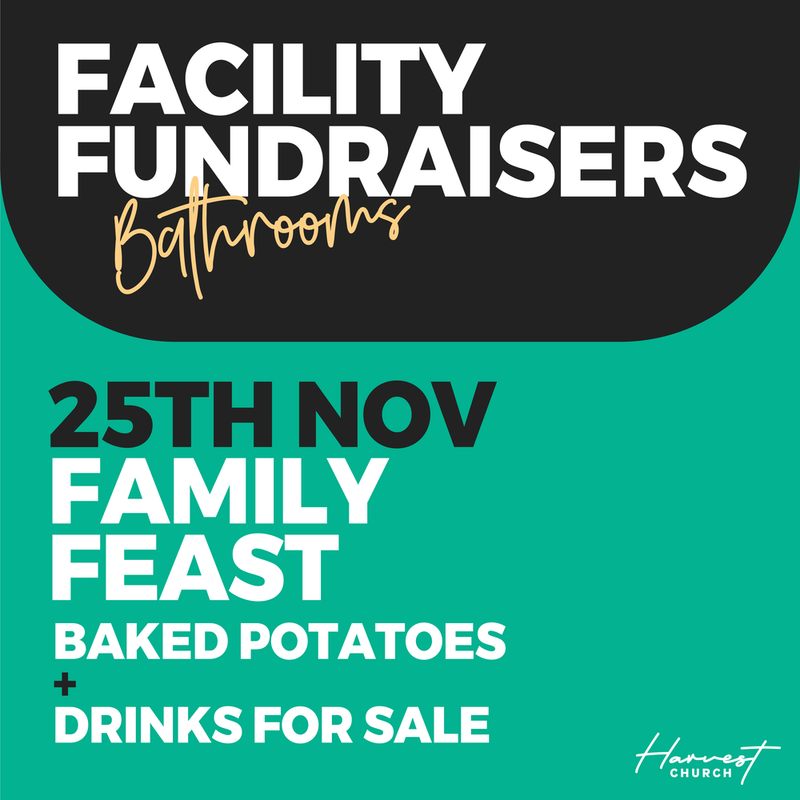 Come early, grab a carpark, some food and catch up with friends from all over the state! We are excited to announce that we have an Awakening Weekend planned in conjunction with the Awakening Australia National Tour. Fri 27th July will be a FREE Youth + Young Adults night to gather Next Gen from all over SA, worship / intercession / encounter. This night is an opportunity to gather young Christians from around the state to worship, be inspired and encounter Jesus together. Our heart is to see Jesus transform us as young people as we seek Him, so that He can transform our local church, our city, our state and our nation through us. 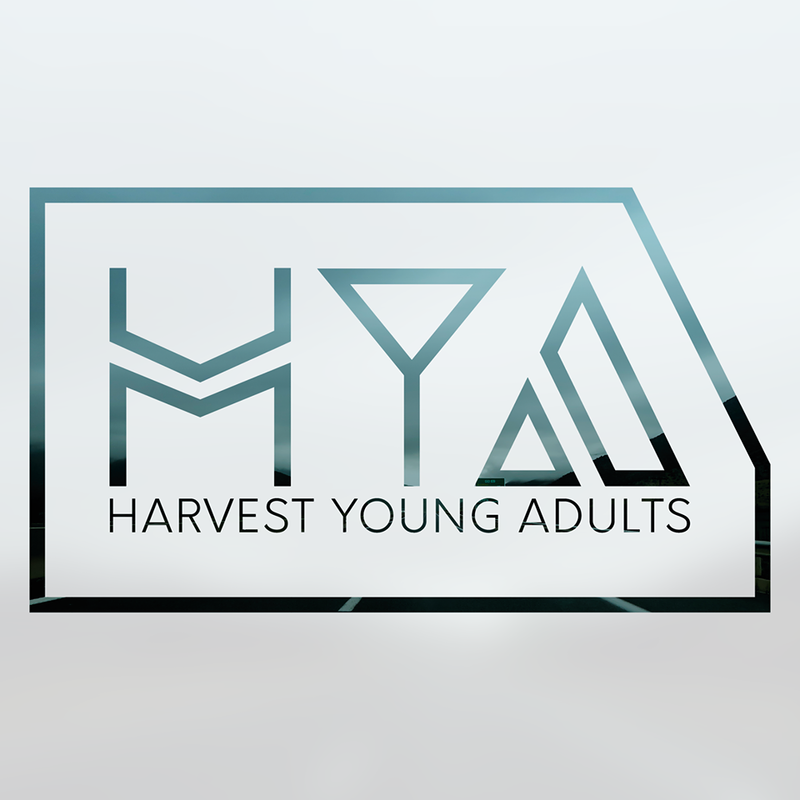 Youth + Young Adult groups are so welcome! Please contact us for more info and to let us know you are coming as a group so we can host you well.